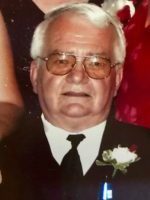 Gary Ray (Buzz) Foster, 64, of Allegan, Michigan, was welcomed into heaven September 24, 2018, surrounded by family after a 7-month battle with cancer. Gary was born June 1, 1954, in Plainwell, Michigan; the son of Robert & Barbara Foster. He graduated from Otsego High School in 1972. He was married to Barbara Wert from 1983-1999. Gary worked at Rock Tenn in Otsego for 30 years, then at Ryder for several years. 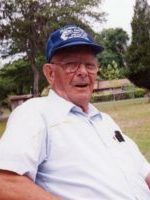 He was a member of the Dad’s Club of the Otsego VFW 3030 and organized the horseshoe tournaments at the annual picnics. Gary was an avid horseshoe player, evidenced by his many trophies. He loved to fish, enjoyed sports and was always up for a good time. His infectious, joyful laughter will resonate in the hearts of his friends for a long time. Gary loved his family and his many friends. He is survived by his children, Michelle Bessent (Bee Bletsian) and David Bessent; his siblings Carol (Frank) Clark, Gail (Ron) Tutewiler, Judy (Doug) Scheppelman, Shirley Foster, Michael (Claudine) Foster; several nieces and nephews and his beloved dog, Zoey. A memorial gathering will be at the Otsego VFW 3030 on Saturday, September 29th at 2 p.m.
Judy passed away peacefully, Tuesday, September 25, 2018 at the Wings Home in Allegan surrounded by loved ones. She was born March 14, 1953 in Kalamazoo the daughter of Donald and Faith (Hill) Sheaffer. Judy graduated from Gull Lake High School in 1971. In her free time she enjoyed reading, trips to the casino, listening to music, doing crafts, fishing and camping. Judy loved being a mother and taking care of her family and all the neighborhood kids who were part of her home. On September 30, 1972 in Otsego she married Timothy Brewster who survives. Also surviving are her daughter, Amanda Brewster of Otsego; Vince Sheldon who was like a son; grandchildren, Jordan and Reese Lee both of Otsego; siblings, Michelle (Saul) Lozano, Matthew Sheaffer and Julie Schultz along with many nieces and nephews. She was preceded in death by her parents and brother, David Sheaffer. Friends may meet with Judy’s family starting at 11:00 A.M., Saturday, October 20, 2018 at the United Methodist Church of Otsego until the time of the memorial service at 12 noon with Pastor Joe Shaler officiating. In lieu of flowers contributions in memory of Judy may be made to the Wings Home of Allegan. Mary passed away Friday, September 21, 2018 at her home in Kalamazoo. She was born in Lake Forest, Illinois on September 16, 1926 to Charles and Rachael (Hart) Jacobs. She was a 1944 Otsego High School graduate. Mary met and wed Irwin Frank “Bunker” Hill Jr. in 1947 and became a military wife and devoted mother. She lived a joyful life and always had a smile on her face with unforgettable laughter. In her free time she liked bowling, quilting and was an avid bridge player. They lived at many military bases over the years, at the end of his career Bunker was stationed in Oklahoma. Following his retirement they lived in Lawton, OK and wintered in Texas until his passing in 2001 and Mary returned to Michigan in 2012. Surviving are her children, Mickey (Sue) Hill of Texas and Colleen Hill Kirkpatrick of Oklahoma; son-in-law, John Melnyk of Oscoda; 5 grandchildren; 6 great-grandchildren; brother, Richard (Petey) Jacobs and sister, Nancy Minar both of Kalamazoo; sister-in-law, Lorna Jacobs of Chicago along with several nieces and nephews. She was preceded in death by her parents; her husband; two children, Janet Justice and Barbara Melnyk and by her brothers, William “Billy” (Rosemary) Jacobs, Robert “Bobby” Jacobs and Bruce Jacobs. Contributions in memory of Mary may be made to the charity of your choice. 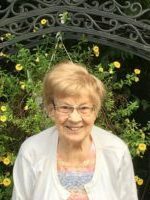 Phyllis passed away Thursday, September 20, 2018 at her daughter Jody’s home in Plainwell. She was born July 12, 1934 in Kalamazoo the daughter of Floyd and Ada (Merrill) Taylor. Phyllis was a Martin High School graduate where she had played the French horn in the band. She had always loved music and enjoyed singing and playing the piano. For several years she had worked at Alamo Nursing Home. Phyllis had wanted to be a nurse and had attended KVCC for a short time. 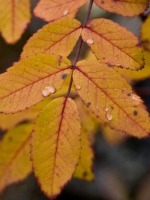 Phyllis enjoyed gardening, fishing, mushroom hunting, ceramics and painting. She was an excellent self- taught cook and was known for her delicious pies and at Christmas time was famous for her apple pie squares. She would make german chocolate cakes for each of her girls on their birthdays. In 1952 she married the love of her life, Jack Bower. Phyllis spent 61 wonderful years doting on Jack and together they provided a happy environment for their daughters. Surviving are her children, Cheri (Joe) Demmon of Montana, Julie Bos of Kalamazoo, Pat (Kerry) Boothby of Paw Paw and Jody Dorothy (Ron Doot) of Plainwell; 7 grandchildren; 18 great-grandchildren; 3 great-great-grandchildren; sister-in-law, Bev Taylor and brother-in-law, Lorence Bower. She was preceded in death by her parents; husband; brother, Floyd and step-siblings, Claire Wycoff, Florence Blackman, Marion Haney, Keneth Wycoff and TommyTaylor. Friends may visit with Phyllis’ family from 5-7 P.M., Monday, September 24, 2018, at the Winkel Funeral Home, Otsego. A funeral service will be held at 11:00 A.M., Tuesday, September 25, 2018 at the Alamo Community Congregational Church with Pastor Don Boss officiating. 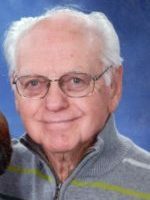 Burial will take place at 1:30 P.M., at the Liberty Street Cemetery in Alamo Township with Pastor Ron Lugten officiating. 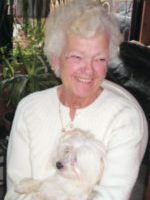 In lieu of flowers contributions in memory of Phyllis may be made to Hospice Care of Southwest Michigan. Juanita passed away Wednesday, September 19, 2018 at the Wings Home in Allegan. She was born in Kalamazoo on February 16, 1931 to Spencer and Millicent (Smith) Sherwood. 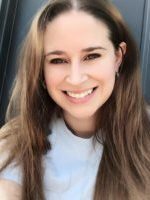 She had worked at the Kalamazoo Sled Company, as a realtor in Otsego and had owned and operated Hilltop Adult Foster Care Home. Juanita loved to dance and sing. 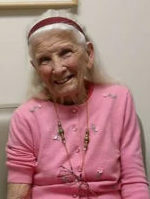 She enjoyed music and square dancing with her family as a young girl. Juanita had a green thumb and could grow anything. She loved the outdoors and enjoyed working in her garden and hunting. She was a lifetime member of the Otsego Moose Lodge. Surviving are her daughters, Melodie Sue (Robert) Dobbins and Judy Langford both of Allegan; 7 grandchildren; 9 great-grandchildren; 3 great-great-grandchildren; sisters, Zonna Kridler of Allegan and Lynette Coleman of Otsego along with many nieces and nephews. She was preceded in death by her parents, daughter, Millicent Ballay, son, Joseph Ballay Jr.; siblings, Wanda Collins, Linda McEwen, Skip Sherwood and Buddy Sherwood. Friends may visit with Juanita’s family starting at 12:00 P.M., Sunday, September 23, 2018 at the Winkel Funeral Home, Otsego until the time of the funeral service at 2:00 P.M. with Pastor Greg Carlson officiating. Burial will take place at 3:00 P.M., Monday, September 24, 2018 at Mountain Home Cemetery in Otsego Township. Contributions in memory of Juanita may be made to the Wings Home of Allegan. Ed passed away Saturday, September 15, 2018 at Kairos Dwelling in Kalamazoo. He was born November 15, 1924 in Salyersville, Kentucky, the son of Gains and Eunice Arnett. Ed enjoyed farming and loved riding his tractor. He liked tending to his 15 acre garden and caring for his animals. In his free time he enjoyed hunting, fishing, playing cards, going on picnics with his family and taking trips to the lake. On December 4, 1942 in Salyersville he married Geraldine Begale who passed away in 2007. Surviving are his children, Thelma Hawley of Otsego, Edward Jr. (Trisha) Arnett of Kalamazoo, Linda (Ted) Collins of Alamo, Deborah (Gary) Tefft of Alamo and Delbert (Brenda) Arnett of Ohio; 15 grandchildren; many great–grandchildren and great-great-grandchildren; daughter-in-law, Sue Arnett and son-in-law, Tony Gilman. He was preceded in death by his parents; wife; children, Phyllis Humphries, Carol Gilman, Mitchell Arnett and Terry Arnett; grandchildren, Brett Humphries, Teddy Collins Jr. and Michael Arnett; great-granddaughter, Dana Purple and son-in-law, Ron Hawley. Friends may visit with Ed’s family from 2-4 P.M. and 6-8 P.M., Tuesday, September 18, 2018 at the Winkel Funeral Home, Otsego where a funeral service will be held at 11:00 A.M., Wednesday, September 19, 2018 with Celebrant Bill Rose officiating. Contributions in memory of Ed may be made to American Diabetes Association, American Cancer Society or to Kairos Dwelling. Mary Ellen passed away peacefully Wednesday, September 12, 2018. She was born in Kalamazoo on July 24, 1935, the fourth daughter of five to Ray and Catherine (Neeson) Blanchard. The family moved to the Otsego School District in 1938, she started kindergarten in 1940. There was only one bus then and she was the first kindergartener to be in class all day, city children went half days. She became a cheerleader in high school and graduated in 1953. After high school she worked at the Upjohn Company and in 1954 she met Dean Himmelein. They married June 11, 1955 in Otsego. They moved to Plainwell in 1958 and bought and started several businesses. The Garden Hotel, a construction business, they built Two Cities Motel on M-89, A-1 Pools, Corky’s Drive-In in Allegan, Trampoline and Go Kart track at Pine Lake and clothing stores in Allegan and Centreville. Throughout the years she also opened her home to many who needed a place to live. She treated them as though they were her own. She was their teacher, mentor and second mom. She taught them everything she knew, especially history and of course put them all to work. 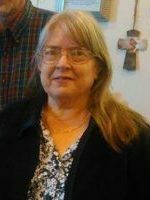 In her free time Mary Ellen enjoyed writing short stories and poetry and her “Count Your Blessings” poem was published in 2003. She also enjoyed playing the piano, writing songs and reading the Bible. Surviving are her sister, Rosemary Berry of Kalamazoo; her children, Rick Himmelein of Martin, William (Gretchen) Himmelein of Plainwell and Sheryl Willis of Otsego; grandchildren, Jennifer Himmelein of Paw Paw, Melissa Mclemore of Paw Paw, Erica Himmelein of Paw Paw, Erin, Paul, Katie and Autumn Himmelein of Plainwell; great-grandchildren, Alexia, Baylee, Mayson, Hannah, Jacob Kaleb, Dexter and Westen. She was preceded in death by her husband, Dean; stillborn son; mother and father and sisters, Dorothy Kisinger, Betty Shaff and Esther Zimmerman. Burial of ashes will take place at Oakwood Cemetery in Allegan. On September 23, 2018 a memorial gathering will be held at the Old Plank Road Restaurant in Plainwell from 1-4 P.M. Contributions in memory of Mary Ellen may be made to the Wings of Hope Hospice of Allegan.